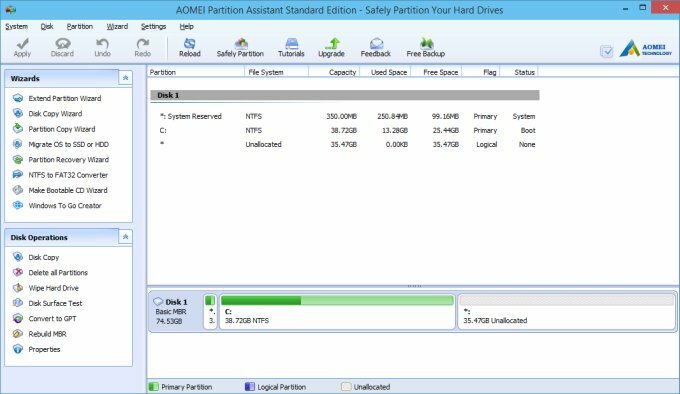 Some time back, one of the AOMEI marketing folks contacted me and asked that I review the free edition of their disk partition management software, available for Windows users. At first I was a little skeptical. Why would anyone need a tool other than GParted to manage their disks? But then, not everyone is a Linux user. With the global audience in mind, I decided to try this tool and see whether it can fill the gap between the somewhat rudimentary utility natively available in Windows and other, more nerdy methods of booting into a live Linux session and slicing and dicing the disks from yonder. 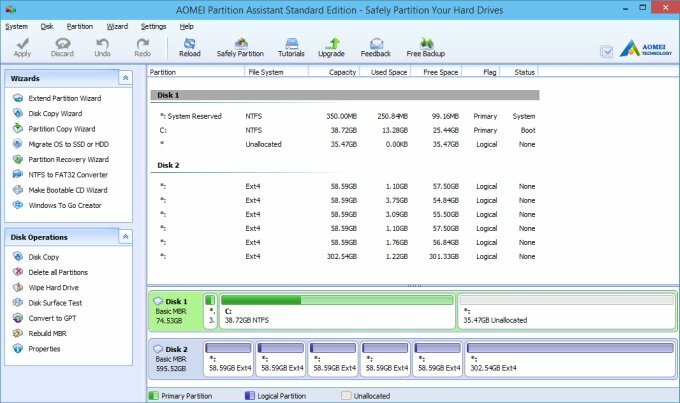 Here be a review of AOMEI Partition Assistant Standard Edition 5.5. After me. The setup is very simple. Just follow the wizard. 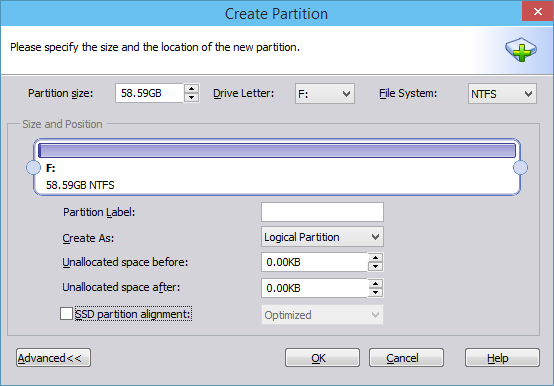 Once this step is complete, you can launch the Partition Assistant, and it will open into a pretty tidy GUI, with quite a few more options than just basic partitioning. 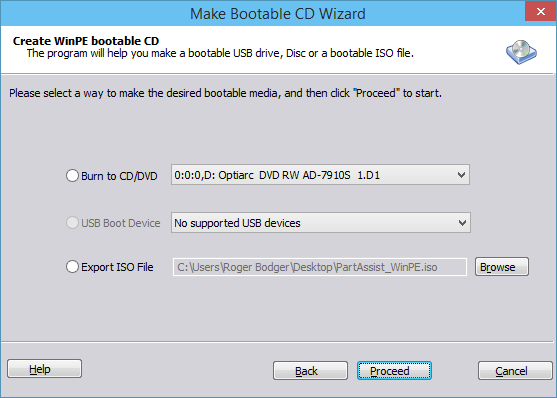 To see how well the program copes with the challenges of disk management, I hooked in a USB drive, containing a bunch of EXT4-formatted partitions, and a small USB thumb drive, formatted with FAT32. You need to reload the view to list the new devices. 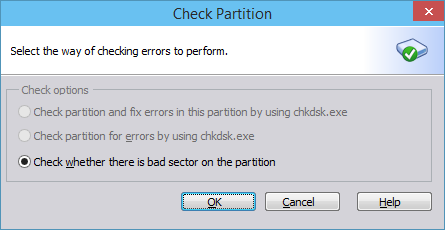 Before you do any resize or formatting operations, you can check partitions for integrity and bad sectors. This can be useful if you're not really sure about your storage devices, or just to make sure the expected operation ought to complete successfully. But let's do some real stuff. In my test, I deleted one of the partitions on the external My Passport device, purposefully not the first nor the last, and then created a new one in its place. 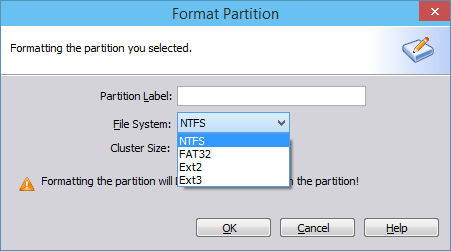 Partition Assistant supports Linux filesystems too, but only Ext2/3. Nothing will happen until you Apply changes, similar to GParted. You can also assign drive letters if you want. I decided not to do this, and yet, the moment the operation completed, the new drive was mounted and lettered. If you explore the left-side bar and its list of options, you will find quite a bit. 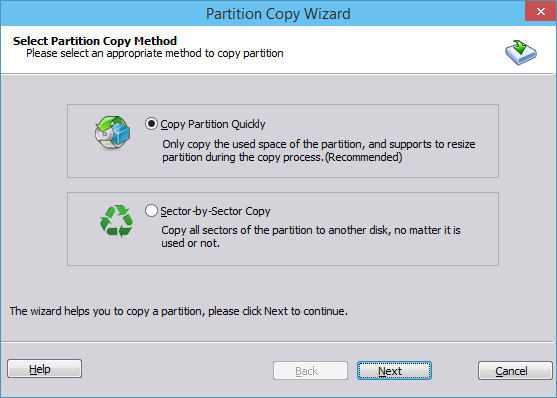 For instance, Partition Assistant can clone partitions, a method referred to here as copy, and you can also try to recover deleted partitions, which can happen if you bungle or damage the partition table. Now, recovery is a very delicate procedure, and I have yet to create the right kind of setup to test it, but the inclusion of this option is welcome, although I doubt many less skilled user would ever try to use it. For that matter, how many people will be interested in partitioning in the first place? You can do quite a lot with this program. 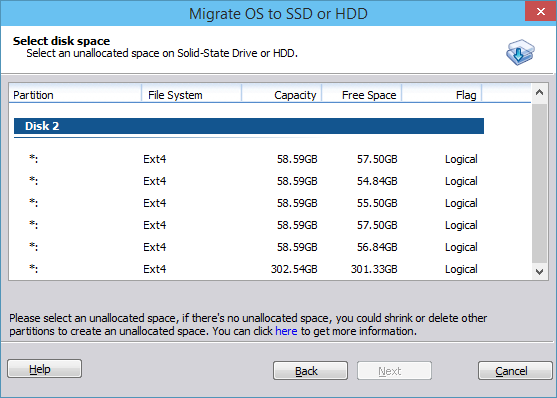 For example, migrate your installed operating system to another disk. You can convert filesystems, wipe hard drives, as well as create a bootable CD, in order to manage your disks and partitions offline. The last options allows you to use either the Windows PE setup or the AOMEI's own live environment. Frankly, if you ask me, you're better off with GParted. It's utterly robust and reliable, it runs from live CD or installed, and you have a wider range of available filesystems. But then, not everyone is a Linux person, and some people must work in their Windows setup, no matter what. For them, the reality does not include any Linux tools. 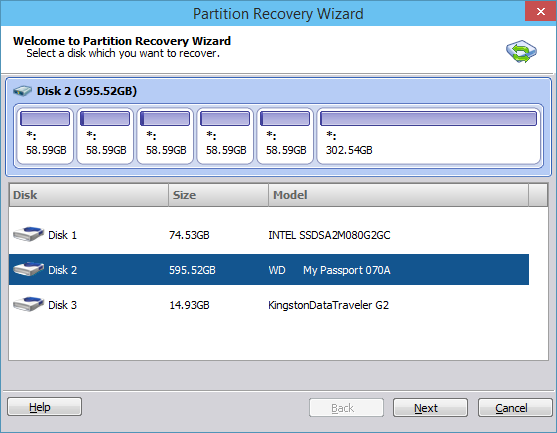 In that case, the free standard version of Partition Assistant is a decent offering. The GUI is simple and clear and friendly, the commands and options are self-explanatory and easy to use. You can always undo your operations, and you get a handful extra of tools and utilities, which go beyond the simple art of disk partitioning. 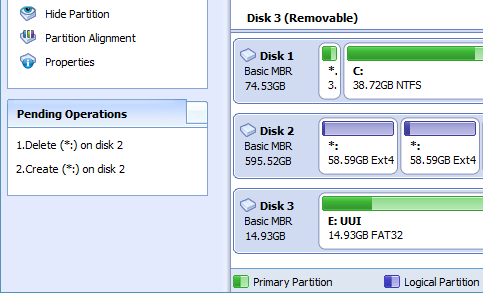 All in all, I'm quite pleased with the AOMEI Partition Assistant. 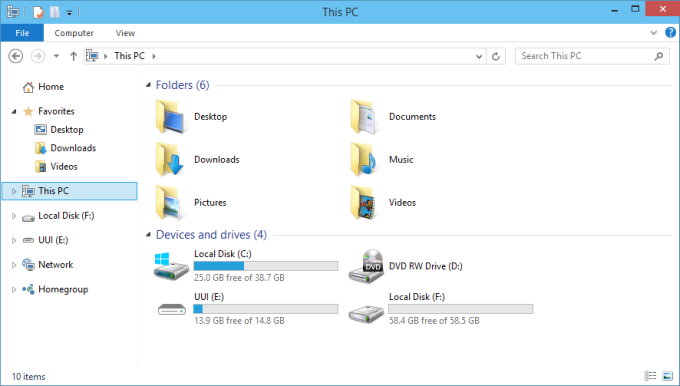 I must admit I was expecting it to be yet another program for Windows users, but the quality and the overall packaging are pleasing. Now, I cannot vouch how this program behaves in critical situations and very complex setups, and this requires more, thorough testing, but for everyday use, there's no reason why you should not consider it in your arsenal. Grade wise, 9.0/10. Bye bye.